Black Sheep Creamery cheeses are fine hand-crafted sheep milk cheeses from the milk of our flock, raised on our pasture in Western Washington and the milk we have been able to purchase from the Tin Willows Farm in Eastern Oregon. This unique combination brings the definition of Terroir, the Taste of Place, to your table. 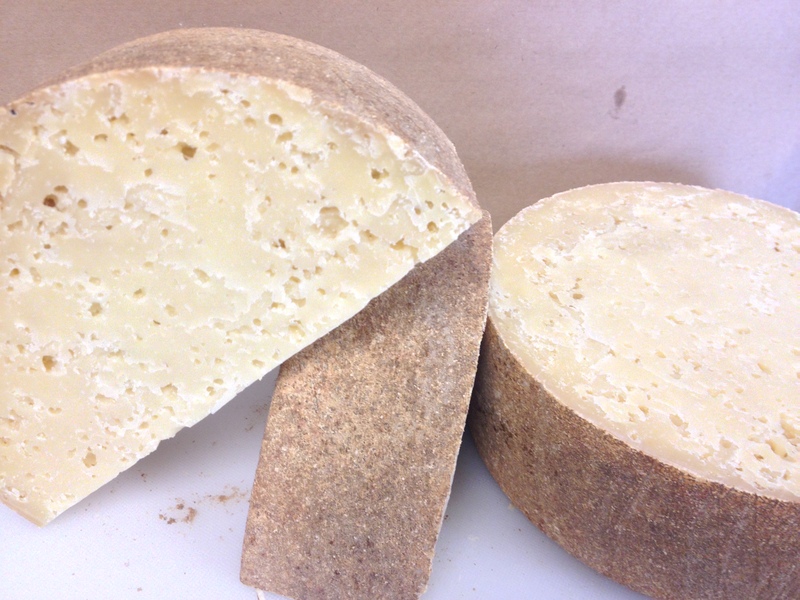 Baasque is a Basque region cheese we developed through a French recipe. This cheese has a smooth pale yellow paste with a sharp sweet taste. The all-sheep cheese has a wonderful full body that continues to develop on the tongue. Unlike the smooth paste of the Adnatou, the Baasque also has refined crystals with a delicate crunch. 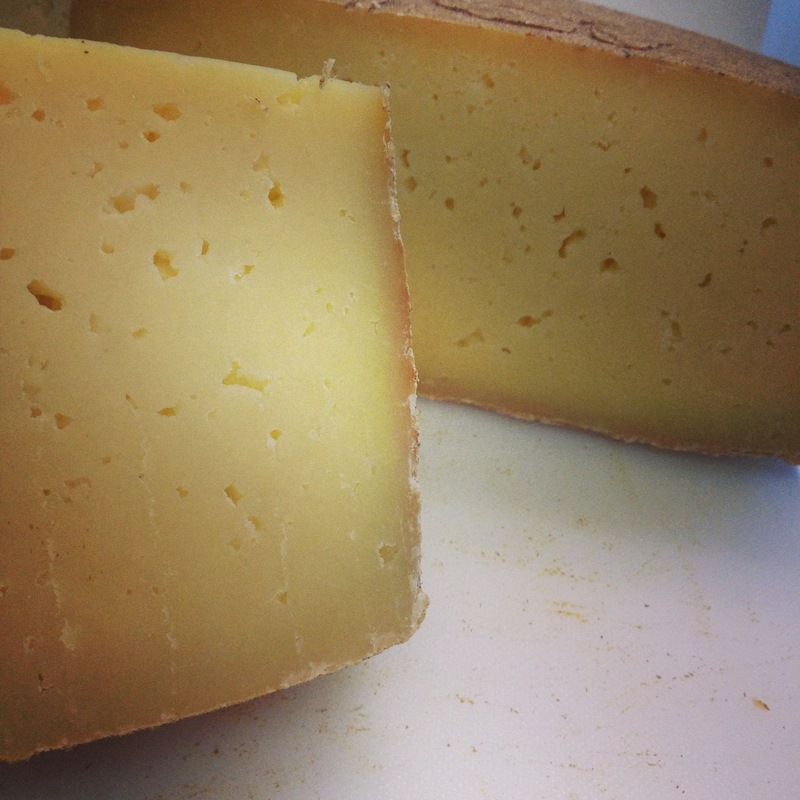 This cheese uses the same recipe we developed for the Baasque but is a cow sheep milk blend. This hard aged cheese has a creamier paste than the Baasque with meaty, salty, umami notes. Enchante is our twist on a Robiola-style cheese with a smooth creamy paste and bright acidic and vanilla notes. This cheese is a sheep-cow blend and is aged from one to four week, depending on your tastes, to develop a beautiful white and red bloomy rind. 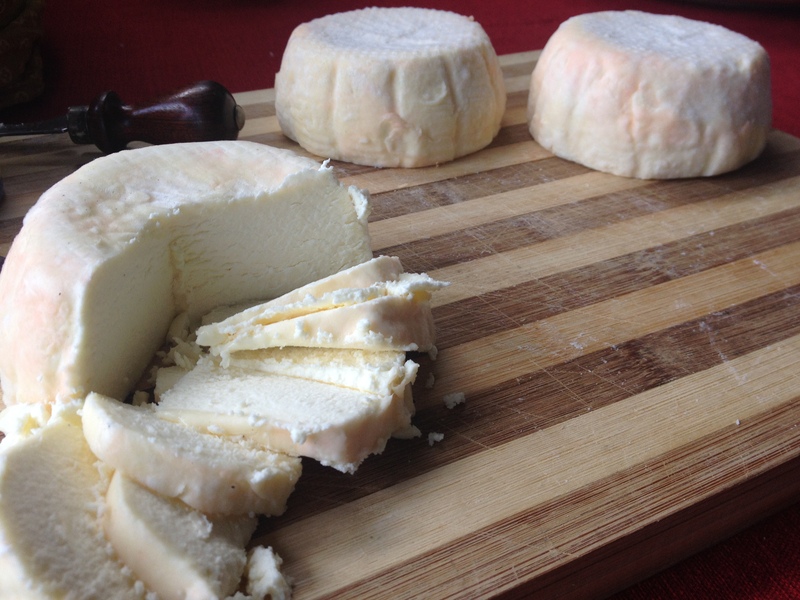 Out fresh sheep cheese has been a long time favorite and because its season is so short, we are in high demand! Only three days pass from the moment we milk our sheep to the moment our cheese is ready to eat. This incredibly smooth creamy cheese can be spread on toasted bagels or melted into pasta. Additionally, we also blend herbs and spices with our fresh cheese to create delicious combinations of sweet and savory. Grab it while you can! Our all-sheep feta is cured in it’s own whey for about a year. The sharp bright bite of this salty sheep feta is perfect for salads, sandwiches or on it’s own drizzled with your favorite olive oil. We made small batches of our Ricotta for custom orders only. This changes the way you will ever think about ricotta. It emerges from our vat in the sweet silky threads to be briefly drained in cheesecloth before delivery. Our Ricotta is best eaten within one week. Mopsy’s Best has two or three distinct notes that wake up and roll over your tongue and hit you once again just when you think you you’ve experienced its full flavor. Mopsy’s Best is one of most mild cheeses. allowing the natural flavors of the Sheep milk to come through beautifully. St Helens is a washed curd cheese that develops a beautiful natural rind which is brushed with B Linens to impart an extra bit of flavor. This young Pecorino, similar to a Pecorino Toscano. It has a mellow mild smooth paste with a subtle sharp flavor. also available October to December as “Middle aged” Pecorino pleasantly smooth and firm with a bite but not quite the age of the “aged” Pecorin. Aged from 7-12 months, our aged Pecorino imparts a rich nutty, salty flavor for warm wintery dishes eaten while waiting for Spring to arrive. Perfect for grating over your favorite pastas and stews or nibbling on with your favorite red wine. 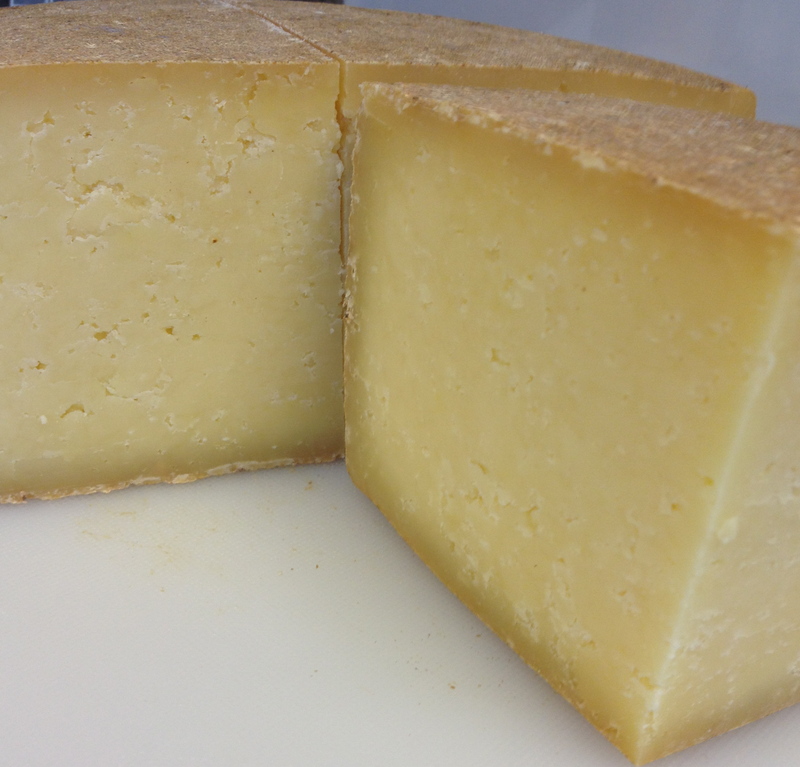 Tin Willow Tomme is produced from the milk of Terry Felda at the Tin Willow Farm in Lexington Oregon. 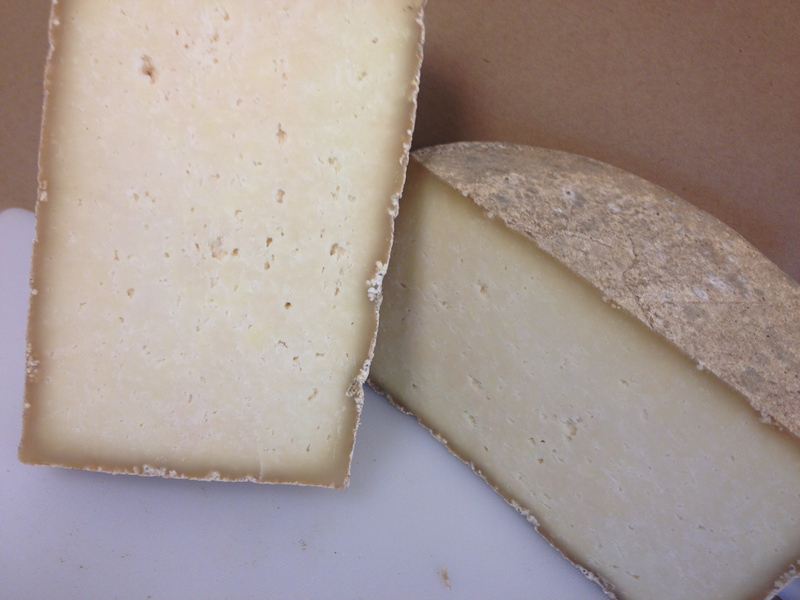 From the Tin Willow Farm comes a distinct and wonderful milk that brings grass and sage flavor to the cheese. How do YOU describe Queso de Oveja? I liken it to a Manchego Style cheese from the Basque region of Spain. Do you make sheep milk ice cream? Or can I purchase sheep milk to make my own? We sell the milk in our store in Chehalis. And we make our own Sheep Milk Ice Cream (Ice Milk) at home. 1.5 quarts of milk, 1 cup of sugar, a pinch of salt and 1 tsp. of Vanilla. Done pour in our small ice cream maker and done. Thank you very much. We do enjoy the sheep and the making of cheese. It is an amazing seasonal progression from lambing to the end of milking to breeding again and the cheeses that can be made through the seasons. Met you and bought some of your Sheep Feta cheese yesterday at the Oregon Flock and Fleece Festival. Loved the cheese and meeting you!!! A few questions – Why is some of the cheeses seasonal? I read your story and see where you give the flock time off, is it the whole flock at one time or indivisible ewes at a time? So is it my understanding they get their whole gestational plus some off? Or do you milk up to a certain week before lambing then pull them off the milk line? I raise Horned Dorset for meat/fiber and just curious about the milking aspect of the sheep business. Good Question. Sheep are very seasonal breeders. They deliver lambs in the spring and lactate for about 6-7 months and once the summer solstice hits the milk drops quickly to the end of August. As they days get shorter they go into heat and are bred in the fall for spring lambs…..
Now that said I know other parts of the world milk in a different season Italian shepherds milk November to June when they have green grass for the flock to eat, which totally disregards my experience with the shortening of days and the animals reproduction cycle. So I can answer for our experience, milk production is dropping some dry up the ewes and put the ram in…..other farms may have a different experience. Do you ship your cheeses/butter? Prices? WE can ship the aged cheese. They run $25 a pound. I would suggest you call the store at 360 345 1507 to see what is currently available. I am home lambing and will be at work in town tomorrow. Since you have Lacaune sheep, do you make a Roquefort cheese? I would gladly make the drive for some real local Roquefort cheese. I wish, We only have one cave so making bleu cheese would make everything blue! Rogue Creamery makes a delicious blue, and Willapa Hills makes a 2 faced bleu with some sheep milk in it. I’d really like to try the milk. But I don’t know when that’s available… I tried the fresh honey vanilla and I have to say I love it. The milk is available during milking season. We are licensed to sell Pastuerized milk and that happens on the weekend with the quarts of milk put into the cooler in the store on Monday….Sometimes they sell pretty quickly. I would call ahead and see if there is any in the cooler before you come. We sell milk for $6.00 a quart during milking season. We were late getting the ram in last fall so we should begin milking mid to late february this year. Hello. My name is Aspen and I work at 3 sheets at the harbor in Portland Oregon. I was curious how I would get your fresh sheeps cheese come March to put on my menu. I’ve had it before and it is absolutely amazing. Thank you Aspen, We sell the Fresh through Greg Hessel at Cow Bell. His contact number is 503 946 8485. 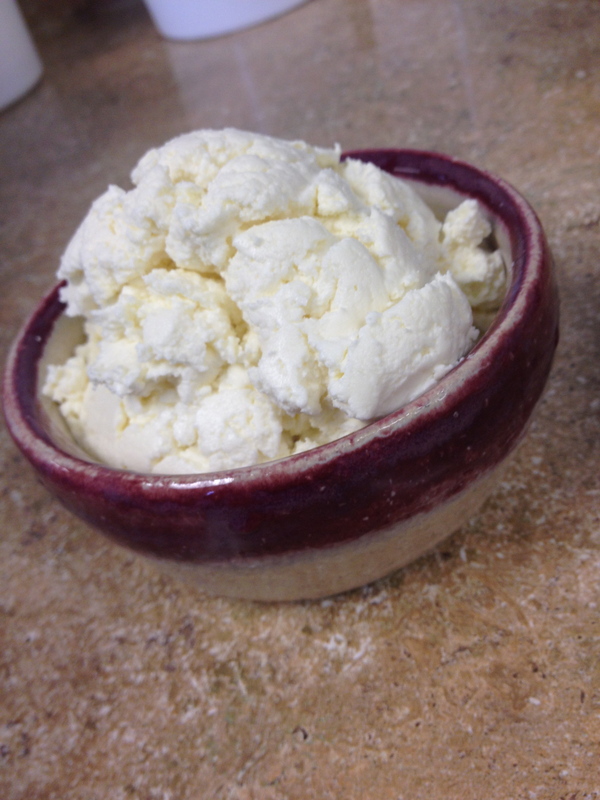 Our first batch of Fresh Cheese will be made this weekend for a Tuesday delivery to Cow Bell! Hi there! 🙂 I was wondering if you sell sheep’s milk? I can only have sheeps milk and goats milk since I am allergic to anything cow related (milk butter etc), and wondering if you guys sold it? Yes, we sell pasteurized sheep milk by the quart in our store in downtown Chehalis, 570 N Market Blvd. But do call ahead we pasteurize on the weekend and it helps us to know how much people want otherwise is can be gone when you get here.